This biographical study explores the times which formed Strauss and in turn succumbed to his influence. The Straussian presence and contribution to nineteenth-century Europe are significant beyond the lilting melodies and the cliche-ridden image of the "waltz king" because these foreshadow the collision of the old order with the new. Johann Strauss "fiddled" as the Habsburg empire sank into a quagmire, mostly of its own making. It was Strauss, more than Schubert, Mozart, Haydn, Beethoven, Brahms, Mahler, or Schoenberg, who made Vienna and the waltz household words throughout the world. Yet the very spirit of his art, its joyous naivete, gave his era a false face, a mask of lighthearted well-being that was not consonant with the repression, persecution, hunger, inefficiency, martial and diplomatic defeats, and political ineptness which gave the period a more sinister cast. 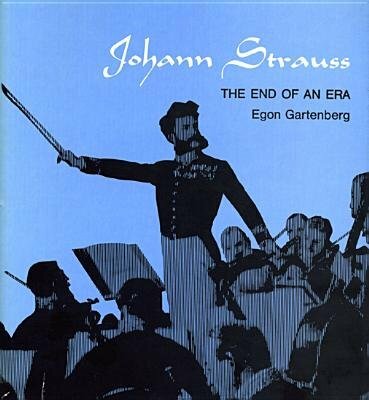 Oblivious of the turmoil that was to bring down one of the greatest ruling houses of Europe, Strauss spread his glorious music like a mantle of gold, prompting historians to aver that with the death of Johann Strauss, Emperor Franz Joseph ceased to reign--although the monarch outlived the musician by seventeen years.